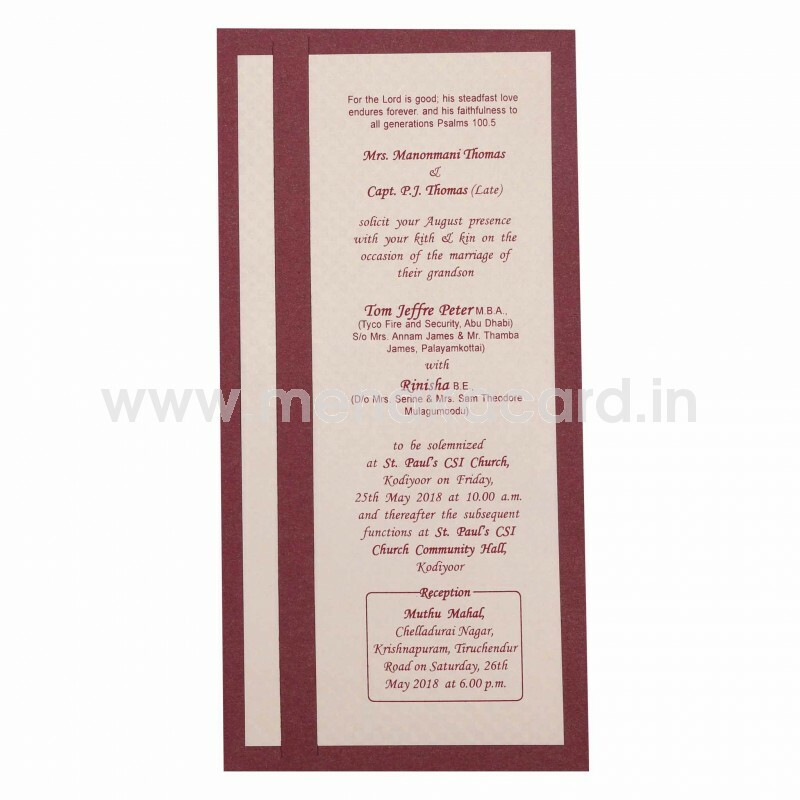 This refined maroon and cream card is made from a rich handmade board. It is a single card and cover model that holds a minimalistic cream insert. 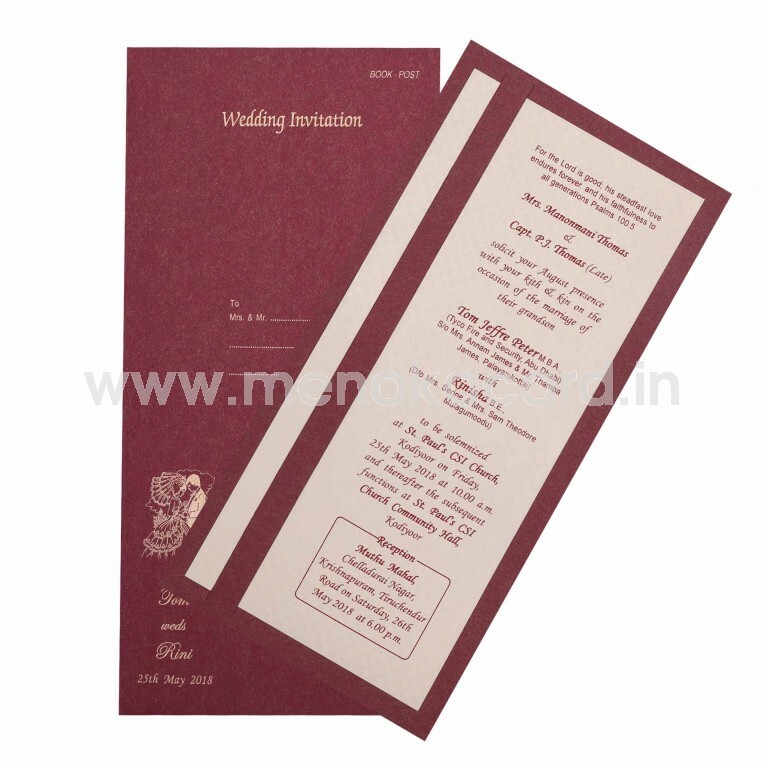 The insert sitting inside the die cut band on the main card. 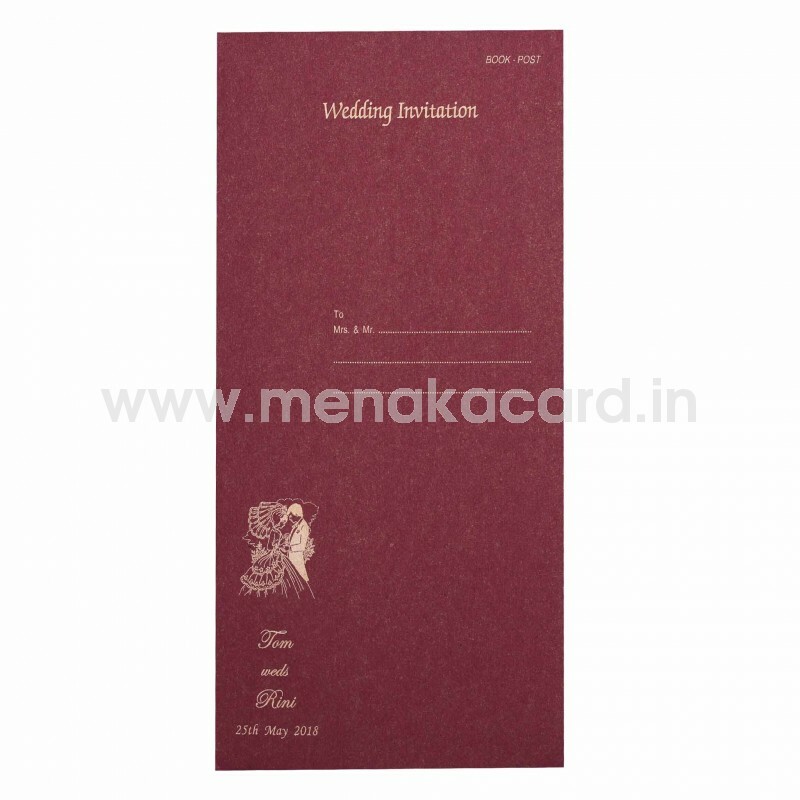 The content is printed in contrasting maroon ink and has the envelope matching the material of the main card with gold text. 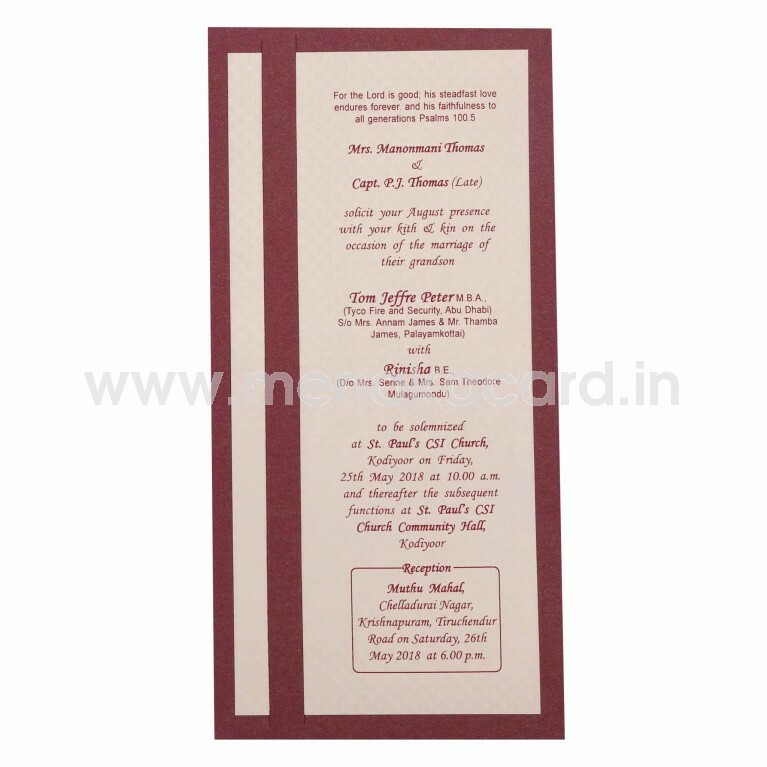 Generally used for personal invitation, this can also be used for Christian weddings, housewarmings and receptions.